The Geek Critique is creating The Geek Critique! Welcome to the ADVENTURE ERA of The Geek Critique! $1 will get you the NEXT week's episode once the season begins. So when Adventure 2 comes out, you'll get Heroes a week early, and so on! $3 will get you ALL the completed episodes of a season all at once as soon as I start releasing them on YouTube. This will allow you to binge-watch the season as fast as you'd like, instead of waiting a week between releases. Now, you might be asking... WHY am I releasing content like this? Simply put, blame YouTube. Their algorithms favor quantity and consistency over quality. If you can upload once or even better, twice a week, your rankings shoot WAY up. This change was implemented right around the time I was trying to get started on YouTube, and it completely KILLED anyone who was trying to do anything that took too much time. Animators were hit the hardest, but it hurt any kind of scripted, polished video, and kind of led to the rise of people who work VERY hard on their channels, but not so much on individual videos. For several years, this section has said: "And not to go all Jimmy Wales on you, but if 1/5th of my subscriber base backed me for just a dollar per month, I really could consider this a career." Well, thanks to each and every one of you... I'm there. This is my livelihood, this IS my career, and I can never thank all of you enough for that. The amount of time, energy, and effort that I've put into this project is insurmountable, and because of you guys, my dreams are finally coming true. THANK YOU for watching The Geek Critique. For the price of a pack of gum, you'll gain WEEK-EARLY ACCESS once a season has begun! So when the first episode comes out, you'll be able to watch episode 2! The next week, when episode 2 is out, you'll be on episode 3! For the price of a pack of REALLY NICE, flavorful gum, you'll gain access to EVERY COMPLETE EPISODE of an entire season as soon as the first episode is released, rather than having to wait for weekly releases! So when a season is complete, it's all your's! You'll get to see each episode as they're actually completed, rather than having to wait until an entire season is finished! This means you may see content MONTHS ahead of time! Additionally, your name will appear in the credits of all my episodes! • Gain instant access to an ongoing, invite-only party chat (both text and voice!) on TGC's Discord Server! Ask questions and join discussions with Josh and the rest of the TGC crew! • During certain major events such as E3 or Nintendo Directs, not only will we be discussing them in the chat, but I may also hop on a voice channel and react to them in real-time! • Your name will become LARGER in the ticker graphic at the end of each episode! This carries all the benefits of the previous tiers, plus you'll gain access to exclusive impromptu game nights, playing online alongside Josh and the crew, complete with a voice channel! My friends and I have maintained a game night at least once a week for the past few years. It's very informal, no set schedule. We just ask who's up for it, figure out what we're playing, and go. Of course, this is hardly limited to just those titles, and I'm always open to suggestions! Whenever you're feeling an online game, just ring the channel and see who's up! During each month you stay at this tier or above, you'll be able to commission a custom voice clip! Need a fun voicemail greeting? A birthday wish? Want to make me talk about how actually, I was wrong and Sonic Heroes is the best game of all time? Any one of these fine people will say whatever you want*! • Josh, the geek behind the critique! • Covarr, who ruined the Metroid Fusion episode and played Dr. Eggman in the Heroes parody! • Alisha the Bird Lady, who parodied Samus and had a fangirl breakdown in the Metroid: Other M episode! • Jennifer Losi, who played Tails in the Heroes parody! She can also play the character in other styles! • Penny Parker, the voice of TGC's parody Sonic! She similarly has a wide range of styles with the character! • MMPRBlog, the voice of parody Knuckles! What's a Master Emerald? • ShayMay, the man behind the YouTube channel of the same name! *Any one of us is free to decline a request based on the content for any reason. We most likely won't do anything that's too promotional, political, or provocative. If you're unsure, feel free to message me and ask for clarification! 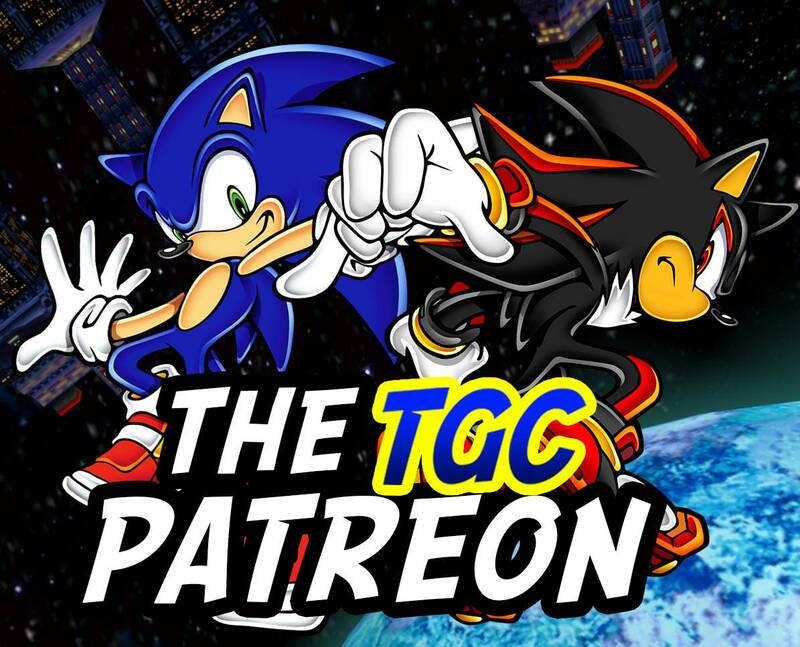 At this tier, you'll be able to read the most exclusive of exclusive channels on the Discord server: The TGC Backroom! This is where myself, my editor Covarr, and (occasionally) the rest of the crew discuss behind-the-scenes happenings. This may include episode ideas, snippets of scripts I'm writing, discussions on the inner workings of the channel, and TONS more. Seriously, Covarr and I talk about TGC a lot, and you'll be privy to it ages before anyone else! At this level, the Adventure Era reloads its clip, and gains an edgy bonus episode on one of the only games in the series that I've never even come close to completing.